In the ’60s and ’70s, you see, most of our neighbors kept their windows open day and night, allowing the outside sounds to come in and the inside sounds to go out. I woke every morning to the birds chirping outside my window screen, a dewy chill in the air. I’d smell my father’s pipe, which he smoked while he read the paper downstairs. I’d go down to greet him. Sometimes he’d make scrambled eggs and toast covered with butter, and we’d eat while the birds kept on singing. “You’re an idiot!” one would shout. “No, you’re an idiot!” said another. “Shut up the both of youse!” the old man would yell. He told our next-door neighbor once he couldn’t understand why his kids were so rude to each other, the lousy idiots. 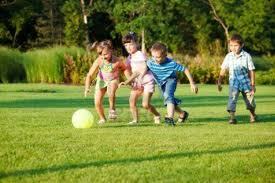 In those days, kids didn’t participate in one adult-run activity after another. We didn’t sit inside air-conditioned homes playing video games. No, we were out in the hills roaming and exploring and creating all day long. We collected scrap wood and built shacks. We damned up the creek and caught minnows and crayfish. One summer, we built a motorized go-cart with some scrap items from a junked riding mower and a couple of two-by-fours. It was one of the great engineering feats in my neighborhood’s history. Occasionally, we’d fib to our mothers and ride our bikes 20 miles farther than we said we would. Or we’d pluck some baby pears off a tree by Horning road and whip them at cars. Every now and then, a car would screech to a stop, and we’d sprint through a creek aqueduct that ran 200 feet beneath the neighborhood. There was only one major rule a kid had to abide by: you’d better be home in time for supper. Every kid had a unique sound to call him home. My father went with a deep, booming, “Tom, dinner! Tom, dinner!” I could hear him a mile away or more. One family used a riot horn. The piercing “hrmmpppphhhhhh!” could be heard for miles. There was no way that kid, attempting to explain why he was late for supper, could claim he didn’t hear it. At least one month every summer, why don’t we cease every structured activity for our children, cancel every tournament, and end every adult-run event. Let’s turn off the television and computer. Let’s shut down the air conditioner and un-shutter the windows and doors. Let’s allow our kids to go out into the hills to roam and play and discover all day long. That will require us to call them home at dinner.